We have proved our self in manufacturing of different products like ROPP caps, Ropp closures, Screw caps, Printed closures, Printed ROPP caps etc. In order to ensure their quality, these caps are rigorously checked against numerous parameters by our quality controllers. 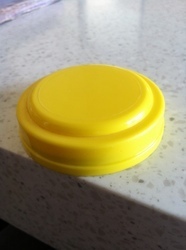 We supply of petrol pump Vent Cap.